BlackBerry Torch 9800 unveiled | BlackBerry Blast! There is no surprise here because we were all expecting RIM to announce the BlackBerry Torch 9800 today, and they did. 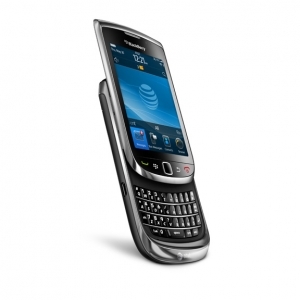 AT&T has just announced pricing for the Blackberry Torch 9800 and the device will retail for $199 with a two-year contract. This means the Torch will compete head to head with the Samsung Captivate and 16 GB iPhone 4. The BlackBerry Torch will be available for purchase on August 12th online, or at AT&T retail stores.